London Irish scrum-half Darren Allinson is to rejoin Premiership club Bath from this summer on a two-year contract. 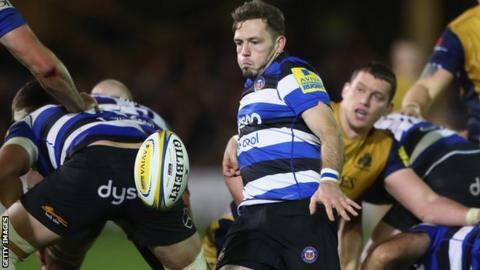 The 29-year-old had a short-term loan deal at Bath earlier this season but is now back at the Championship outfit. Wales-born Allinson is a former Cardiff Blues number nine, but joined London Irish in 2010. "I'm really excited to be returning to Bath next year and looking forward to getting a solid pre-season under my belt," he told Bath's club website. "There is a great deal of competition and experience in the number nine shirt and that is something that brings the very best out of me as a player."